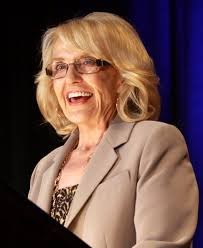 Jan Brewer, the Governor of Arizona announced that she vetoed the controversial bill passed by the Arizona legislature that would allow religious beliefs to be a defense for denying certain services to gays and other special interest groups. Brewer spent a number of days taking into considering the bill, but said it could potentially create many more problems that it could solve. She said the measure could divide the state in ways unimaginable and no one would want that. Civil rights advocates and Democrats opposed the legislation that was supported by social conservatives, saying the measure would allow from discriminatory actions by Arizona businesses and hurt the economy in the state by driving business away. A number of prominent Republicans were also urging Brewer to veto the bill over the past few days. Amongst the first sending congratulations to Brewer for the veto decision was Senator John McCain who urged her before her decision to veto the bill. McCain said he had urged Brewer to veto the bill and appreciated the decision she made. He said he hoped the state could move on from the controversy caused by the measure assuring everyone in the U.S. that anyone was welcome to work, live and enjoy the state. The bill was passed by the legislature in Arizona last week giving owners of business who cite religious beliefs the right to deny their service to gays along with others. The bill would have allowed any business, person or church to cite the legislation as a defense for any action by an individual or the government claiming discrimination. National uproar over the legislation took place last week after it was passed by the legislature. Even Mitt Romney, the former presidential candidate for the Republican Party urged the bill to be vetoed by Brewer. The announcement by Brewer came just after the National Football League and Major League Baseball joined a group of business organizations that denounced or expressed strong reservations regarding the new legislation. The Hispanic Bar Association a nationwide organization said it had voted to pull its conventions held annually from Phoenix.